Diabetes Management: How Blood Sugar Can Be Maintained By Diet And Exercise.. It is important to control blood sugar level to reduce the risk of cardiovascular diseases and other complications in both type 1 and type 2 diabetes. You can control your diabetes by bringing some changes to your lifestyle and daily routine. Here are some important tips to control both type 1 and type 2 diabetes. 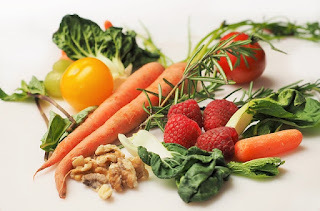 A healthy diet is important not only for diabetics but also for nondiabetics. To control blood glucose you should know what to eat and what not. Your diet plan should be focused on controlling blood sugar. There is no special diet restriction in diabetes but following healthy diet plans make it easier to control diabetes. Carbohydrates are very important for diabetics because it has a direct impact on blood sugar. Diabetes patients should eat low glycemic index food which absorbs and metabolized slowly, therefore raises blood sugar level slowly. Non-starchy vegetables like asparagus, beans, cucumber, broccoli, carrots, cauliflower, sprouts, tomatoes, mushrooms, onions. Eat fruits that have low glycemic index, example: cherries, grapefruit, pears, apple, orange, grapes, plum, peach, apricot, papaya. Eat 2-3 fruits daily and decide portion size according to the size of the fruit. Plant based protein- bean and bean products, soy nuts, peas, tofu, hummus. Fish and seafood- fishes which can be eaten in diabetics are albacore tuna, herring, rainbow trout, salmon,catfish, tilapia. Chicken and other poultry- eat chicken, turkey without skin. Dairy products in which fat content is low, such as low-fat yogurt, low-fat milk, unflavored fortified soy milk. Choose low-calorie drinks. Drinks like water, unsweetened tea, diet soda, sugar-free juice drinks are best for diabetics. Always drink more water because it helps in elimination of sugar through urine. Fruits- avoid large fruits containing carbs more than 15 gm, Sweetened applesauce, fruit drinks, fruit juice drinks, canned fruits, chewy fruit rolls. Avoid Fried food such as french fries, potato chips. Avoid Sugars like cake, pastries, white sugars, artificial sweeteners, sweets. Proteins that should be avoided in diabetics are deep fried fish, fried tofu, fried meats, pork bacon, poultry with skin. In dairy products, whole milk, yogurt, regular ice cream should be avoided. Avoid soda, sugary fruit juice, energy drinks, and alcohol. Physical activity is very important for controlling diabetes along with proper diet planning and prescribed medicines. During exercise, muscles become more sensitive to insulin, so glucose is easily taken by muscles and used for energy production, thus reducing blood sugar level. ☞ Consult your doctor Before starting regular exercise. What type of exercise can you do? Monitor your blood sugar before and after exercise. If your blood sugar is >250 mg/dl and ketone bodies are present never do exercise. If you have already high blood pressure or block arteries consult your doctor before starting exercise schedule. Any injury or lesions on foot of diabetics can be dangerous for them, so always wear shoes during exercise to protect feet. Drink as much water as possible before, during and after exercise to avoid dehydration. Monitoring of blood glucose by glucose meter before and after meals helps to know how different meals affect your blood sugar. This can help in deciding what diet should I eat. 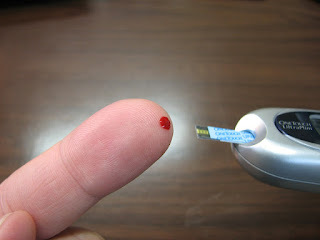 With regular monitoring, you get the information that your current strategy of controlling diabetes is working or not. Diabetics who are on oral medications and insulin therapy can develop hypoglycemia. Hypoglycemia requires immediate treatment. Because of regular monitoring hypoglycemia can be diagnosed and treated early.